The inaugural National Youth Film Awards (NYFA) at *SCAPE aims to identify and celebrate talents from the industry and Institutes of Higher Learning (IHLs) offering film-related and animation courses. Out of 238 submissions received, 47 films by students from nine local IHLs were nominated. 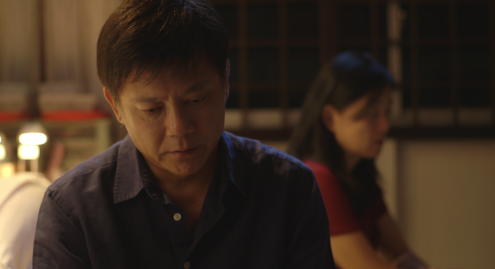 The films are reviewed by an 11-member jury made up of well-known industry influencers such as Royston Tan, Jack Neo and Ng Say Yong. Here are our thoughts on a selection of some very interesting entries. Nominated for five awards, including Best Original Music as well as Best Editing, Hero is a film that takes the viewers through a journey of imagination and empathy. Directed by Jonathan Choo of NTU, and featuring local veteran actor Wang Yu Qing, Hero follows the story of a boy who aspires to follow in his father's (played by Wang) footsteps, who moonlights as a vigilante but eventually passes on with cancer. This film turned out to be a big project - with a stunt team to take care of the stunt work, along with other factors - and it was a challenge since the crew was made up of mainly schoolmates, but it was successful. I found it particularly interesting how this film humanises heroic figures and paint a different picture of their story. Original and creative, this film delivers the messages with a subtle touch and is not too overbearing. Heartwarming and feel-good, Hero will definitely give viewers hope for a better tomorrow and something to think about. 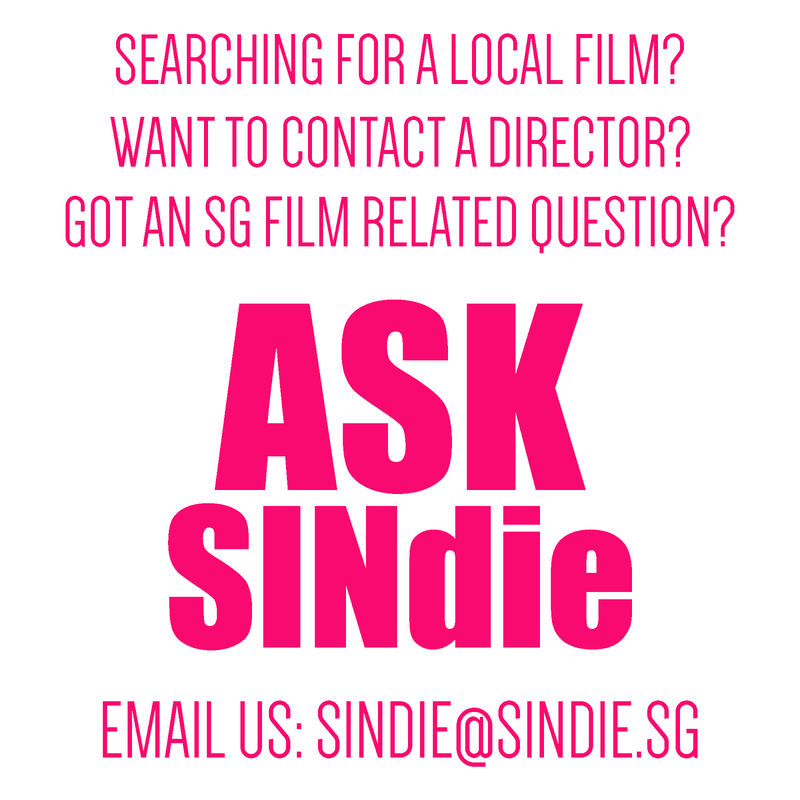 Going with the relevance but exploring a different perspective of National Service days of Singaporean men, AWOL (The Boy) is a film that is bittersweet and will leave audiences torn apart by law, familial love and the main character's troubled past. Trying to make ends meet and take care of his ill mother, Nick escapes mandatory National Service to take up jobs and to help put his old days behind him. But as they say, what goes around, comes around and Nick is not exception to the rule. Directed by Ivan Yau of The Puttnam School of Film, LaSalle, the film had a strong and clear message from beginning to end. This film is also one of the multiple-nominees at this year's National Youth Film Awards, being in the run for Best Direction, Best Cinematography as well as Best Screenplay. Every frame was shot with clarity and led the audience to experience the drama through Nick's eyes, which made each moment heartbreaking and exciting at the same time. AWOL (The Boy) left me wondering about the inevitable relationship between law and the marginalised; how these two lines intertwine so delicately and makes it ever so hard to tread. Written by Radhiah Anis, 19 years of age from Temasek Polytechnic, Susuk (Charm Needles) is a short film that is unafraid of exploring the darker corners of life. The nine-minute film revolves around Putri's unrequited love towards Adi, who was about to wed her friend. Desperate times call for desperate measures and black magic would be the card Putri draws to save this love. But how deep does physical beauty lie and is it ever worth the price? The straightforward storyline was intriguing enough as it is not as vanilla as most feel-good short films out on social media platforms today. Exploring the psychotic nature of Putri as well as the invocation of spirits that usually come with black magic practices, it was an interesting watch and definitely worth the time despite a predictable ending. It is worth a note that the entire shoot was done in only three evenings and casting was done purely on social media due to budget constraints. But its meticulous staging and crafting of the atmosphere led it to be nominated for Best Production Design. Personally, there were minor moments in the film that could have been tightened up to build up more tension and to maximise the storytelling, but it was a commendable effort with the restrictions presented. A special mention about the make-up used, particularly on the Jinn, as it was captivating to witness on screen and made the tale come alive once the viewers know what they are in for. We found a link of the full short film here. Enjoy and grab your pillows! Winner for Best Documentary, the 10-minute short tells the story of a Chinese man who had devoted himself to be a Kavadi bearer during the sacred ceremonial Thaipusam, mostly observed by the Hindus. The embodiment of Kavadi bearer is not one without meticulous preparation work. The documentary reveals the regimental process of getting the bearer's mind, body and spirit ready for the long spiritual night walk. His sphere of devotion brings his family members even closer as his wife, siblings and children begin to embrace the culture and spirit of Thaipusam. Their limitless support pushes him to deepen his spread of faith towards other believers. He views the glorious process as a spiritual way towards a new lease of life in which he is reborn year after year. There was also a coming-of-age scene when eldest son stepped up and allowed piercings through his face and tongue. He took it on bravely and managed to put up a strong front. The father explains the ritual as “cleansing” and reassures with themes like “new beginning” and “adulthood”. The narrations of the subject vertebrates genuine emotions, commitment and conviction through the screen. He embraces the full experience to the vulnerabilities and empowerment of the procession. The human connection with spiritual world is one that is consistently intriguing. This documentary highlights the believer's physical, mental and emotional changes as he vows to remain true to its sacred teachings. Here is a link to the short film. Behold the colourful journey! This short documentary shares the origin of the dying traditional dance, how the art form has developed and how it got repressed due to lack of acceptance. Another contender for Best Documentary nomination, the piece is both riveting and wondrous as it delves into the world of animistic practices of pre-Islamic Java. First introduced to Singapore in late 1940s, the traditional dance has caused controversies within the Malay Muslim community. Scenes of members going in a “trance” state, eating glass and acting wild like horsemen come across as disturbing and uncomfortable for audience to witness. One question to pose is how is it that a “traditional dance” can inflict that much pain and blood on its members? In one scene, the president of Kuda Kepang Singapore clarifies that this art form does not possess any association towards neither the Malay culture nor Islamic teaching. Hence, ground support from public and government is limited which subsequently leads the art form to lose its mass appeal. The documentary gives a brief background and captures the current state of the traditional dance in Singapore. As the film is compacted into eight minutes, the exploration of theme is rather fleeting. Subject interviews can extend to the members itself so that audience can tune in to the members' own perspectives and motivations for partaking in this art form. This enlightening depiction of Kuda Kepang will get audience to rethink their readiness to accept and appreciate this old ritual practice. Here is a link to the short film. Be enchanted! 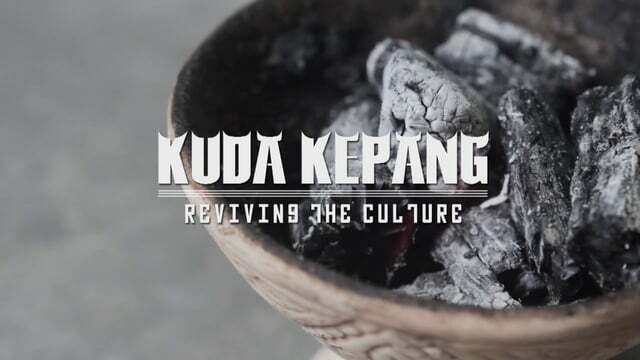 Kuda Kepang - Reviving The Culture from Louis Porfirios on Vimeo. 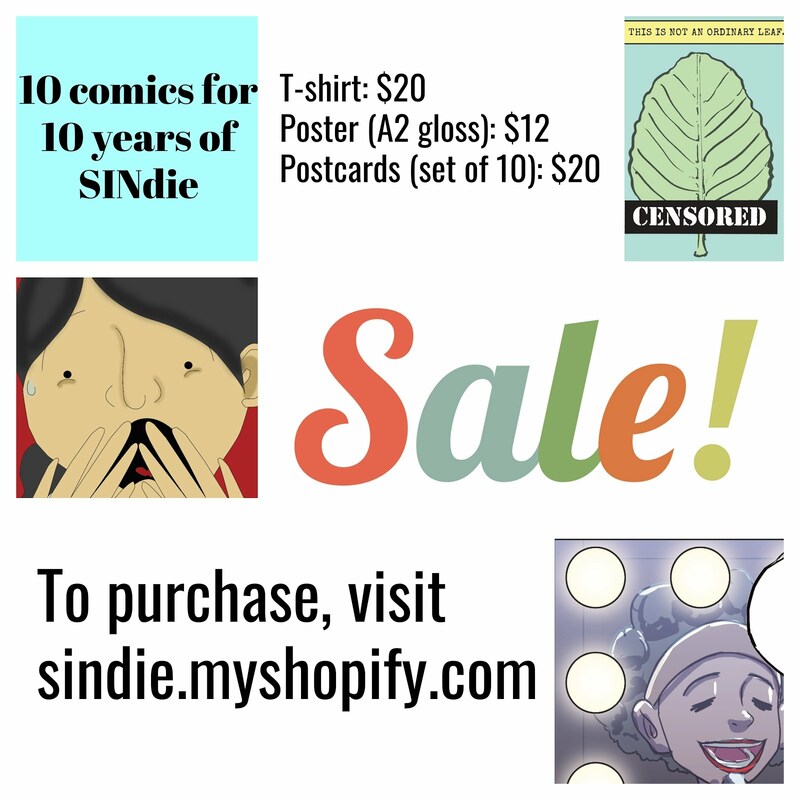 An earnest short that explores real themes of fears, guilt and passive aggressive emotions behind a sudden herpes scare that tests the relationship between a couple. Winner for Best Pictures, Best Direction & Best Screenplay and nominated for Best Editing, 'November' is adapted based on a true life story. When boyfriend, Kai, discovered that he was tested positive for herpes, he brought his girlfriend, Min, to a clinic for a check. Amidst the struggles of accepting his infidelity, Min agreed to go for the check and face her biggest fear. The film concludes with an open ending which gives audience plenty of room to imagine wildly after credit rolls. The well-scripted film manage to depict the strong tug-of-war battle between Kai and Min. The actors were able to emote values of love, forgiveness and regrets in their narration. The film was shot on hand-held which allows great flexibility with the actor’s movements.